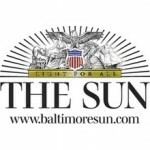 The Severna Park Patch publishes J.H. Snider’s commentary on the accessibility of the local public school system’s public meetings. Pamela Wood, Senator pushes for elected school board, again, Capital, January 18, 2011. In his latest attempt to promote an elected school board, state Sen. Bryan Simonaire has not one, not two, but three different bills for lawmakers to consider. The Pasadena Republican thinks it unlikely his colleagues would reject all three bills. Two of them would make changes to the way school board members are picked and the third asks for a nonbinding referendum in which voters could share their preference. “It’s wrong that people don’t have a voice in the process,” Simonaire said. Although he presented his ideas yesterday to the Senate Education, Health and Environmental Affairs Committee, his colleagues in the county House and Senate delegation will decide the fate of the bills. Because the bills would affect only Anne Arundel County, they’re subject to the legislative custom of “local courtesy.” A majority of the county’s senators and delegates must support one or more of the bills to win approval from the rest of the General Assembly. Simonaire thinks at least one of his bills will have support among delegates; Del. Tony McConkey, R-Severna Park, is sponsoring identical bills in the House of Delegates. The senators are another matter. Simonaire’s past attempts to promote an elected school board have fallen short among the county’s five senators. Sen. Ed Reilly, R-Crofton, publicly offered his support on Tuesday. “I fully agree that things need to change, that it needs to be more responsive to the citizens,” Reilly said. Simonaire said he’s lobbying to win support from a least one of the three other senators who represent parts of the county: John C. Astle of Annapolis, Ed DeGrange Sr. of Glen Burnie and Jim Rosapepe of College Park. Anne Arundel’s system for selecting school board members has been in place since 2007. A School Board Nominating Commission picks potential school board members, whose names are sent to the governor. Once the governor appoints board members from the list and they’re in office, they are subject to a retention vote during the next election. If a school board member is knocked out of office during a retention vote, the process starts over again. Simonaire said the current system doesn’t allow for true public input into who would be best to serve on the school board. As an example, he pointed to the fact that Democrats dominate the school board, while Republicans have majorities among the County Council and the House of Delegates. According to county Board of Elections statistics, the voter registration breakdown in Anne Arundel is 43 percent Democrats, 37 percent Republicans, 19 percent unaffiliated and 1 percent belonging to third parties. “What I’m looking for is a balance and a composition that looks like Anne Arundel County,” he said. Change the process to one similar to the way Circuit Court judges are selected. Board members would still be appointed by the governor from a list submitted by the nominating commission. But when the retention election rolls around, challengers could run against the sitting school board members. Have seven nonpartisan members elected by voters, plus three members appointed by the governor, the county executive and the County Council, as well as the student member. Only one person testified during a public hearing. Jim Snider, a parent and education activist from Severna Park, told the committee the bills should include provisions forcing the nominating commission to be more transparent. Simonaire that said even if he fails to win support in Annapolis, he hopes his cause will gain traction among voters. “My hope is that it will create a buzz in the community,” he said.